Hunchback of Notre Dame Esmerelda costume for hire. Great for a Disney or Fairy tale party. 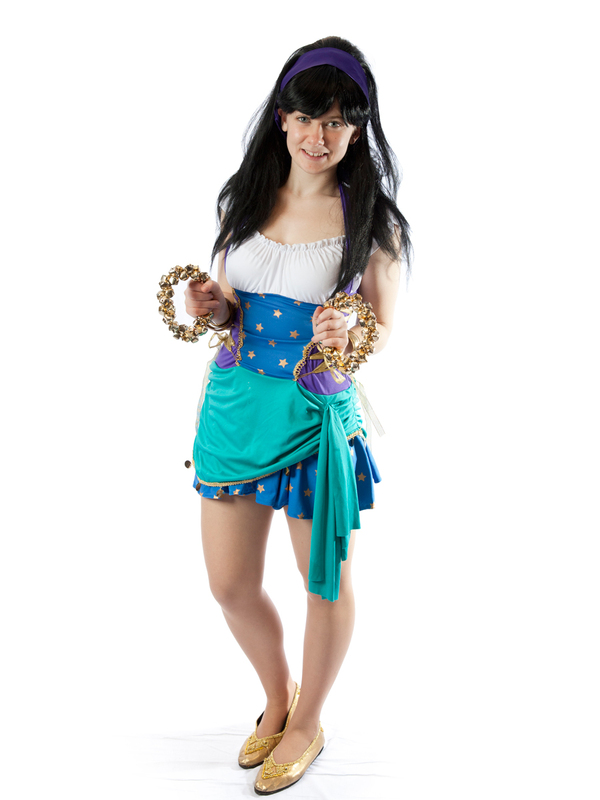 Costume includes gypsy dress with matching headscarf, sleigh bell props and black character wig.